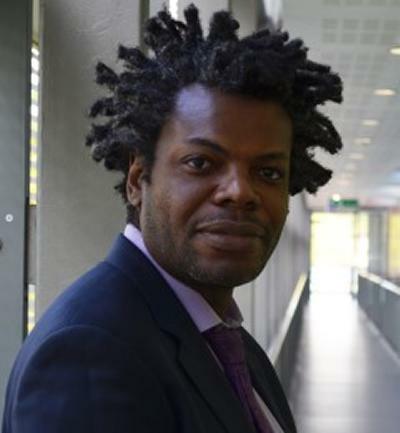 Dr Max Chipulu is Associate Professor of Business Analytics and Programme Leader for BSc Business Analytics within Southampton Business School at the University of Southampton. Max earned his PhD in Statistics and Management Sciences, MSc in Management Sciences and BEng in Mechanical Engineering from the University of Southampton. Max began his career in industry as a mechanical engineer in the mining industry. After his MSc, Max worked in corporate banking at Standard Chartered, before leaving to do his PhD. Since his PhD, Max has worked as an academic in various roles in Southampton Business School (SBS), except for a spell as a senior lecturer in Operational Research at the University of Hertfordshire. Max’s research area is Operations Analytics. His focus is empirical research involving the application of data analytics for prediction and performance evaluation in complex and/or uncertain environments within operations management, particularly projects. Max regards teaching and learning extremely important. Therefore, he frequently participates in change projects within SBS and elsewhere, which aim to improve the quality of teaching and learning. He has extensive teaching experience, having led and taught modules at all levels, including MBA, PhD and executive education. Max’s research area is Operations Analytics. His focus is empirical research involving the application of data analytics models for prediction and performance evaluation in complex and/or uncertain environments within operations management, particularly projects. Max is also interested in methodological developments in text analytics, concepts of cultural values in operations/project management contexts and pedagogue, especially regarding the teaching and learning of quantitative subjects in a Business school context. Member of assessment and feedback working group, SBS. Ojiako, U., Mashele, T., & Chipulu, M. (2014). 'Ubuntu' within the South African construction industry. Proceedings of the Institution of Civil Engineers - Management, Procurement and Law, 167(MP2), 83-90. Ojiako, U., Chipulu, M., Gardiner, P., Williams, T. M., Mota, C., Maguire, S., ... Stemati, T. (Accepted/In press). Effect of project role, age and gender differences on the formation and revision of project decision judgements. International Journal of Project Management. Hidalgo, H., Chipulu, M., & Ojiako, U. (Accepted/In press). Risk segmentation in social health insurance in Chile. International Journal of Health Care Quality Assurance, 26(7). Ojiako, G. U., Manungo, T., Chipulu, M., & Johnson, J. E. V. (2013). The impact of regulation on risk perception: Evidence from the Zimbabwean banking industry. African Development Review, 25(3), 276-288. Ojiako, U., Chipulu, M., Gardiner, P., Williams, T., Anantatmula, V., Mota, C., & Maguire, S. (2012). Cultural imperatives in perceptions of project success and failure. Feltham, United Kingdom: Project Management Institute. Sque, M., Chipulu, M., & McGonigle, D. (2009). Clinical decision making. In M. Hall, A. Noble, & S. Smith (Eds. ), A Foundation for Neonatal Care: a Multi-disciplinary Guide (pp. 235-251). Oxford, UK: Radcliffe. Khoja, L., Chipulu, M., Jayasekera, R., & Vigne, S. (2017). Compare and contrast: contextualising corporate insolvency in the GCC using the UK and the USA as comparators. Paper presented at 15th INFINITI Conference on International Finance, Valencia, Spain. Chipulu, M. (2017). Does students’ engagement in self-evaluation impact task performance?. Poster session presented at Simply Better, Southampton, United Kingdom. Price, C., Sui, G., Chipulu, M., & Bottle, A. (2017). Does the type of pain clinic patients attend matter?. Paper presented at British Pain Society 50th Anniversary Annual Scientific Meeting , Birmingham, United Kingdom. Lee, H. Y., & Chipulu, M. (Accepted/In press). Evolutionary customer experience for evaluating value co-creation. Paper presented at EURAM 2017, Glasgow, United Kingdom. Chipulu, M., & Ojiako, U. (2012). Mapping the perception of abuse of economic power by multinational companies in asymmetric partnerships across the globe. Paper presented at Sustainability 2012: Sustainability Conference, Canada. Manungo, T., Ojiako, U., & Chipulu, M. (2011). An exploratory study of the impact of financial regulations on risk management in Zimbabwean banks. Paper presented at Business Management Conference, South Africa. Georgousopoulou, M., Chipulu, M., Ojiako, U., & Johnson, J. E. (2010). Factors influencing the risk appetite of SMEs: an exploratory study of Greek SMEs. (Centre for Risk Research: Working Paper Series; No. CRR-10-03). Southampton, GB: University of Southampton. Ojiako, U., Manungo, T., Chipulu, M., & Johnson, J. E. (2010). The impact of regulation on risk perception: evidence from the banking industry. (Discussion Papers in Centre for Risk Research: Working Paper Series; No. CRR-10-02). Southampton, UK: University of Southampton. SAS Software for Data Analysis and Modelling (Mang6231).